A new introduction from Canada. 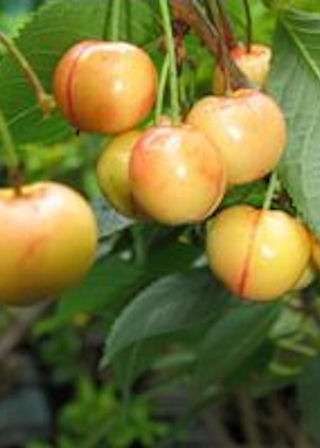 For those of you who prefer a white cherry this variety is a must. High quality fruits that are sweet and juicy. A mid season variety that is very promising. Very large fruits. Pollinate with Sylvia, Celeste, Stella etc.